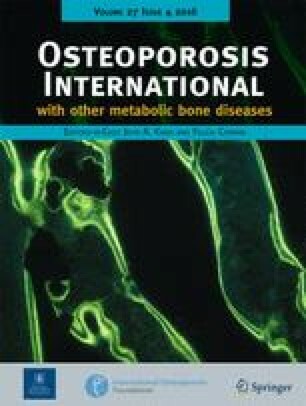 This cross-sectional study has been performed to investigate the relationship between serum carotenoids and bone mineral density (BMD) in Chinese population. We found that women with higher serum β-cryptoxanthin, lycopene, or α-carotene exhibited higher BMD at various bone sites. Similar association was observed between α-carotene and BMD in men. 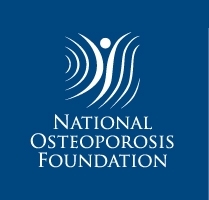 Carotenoids may positively regulate bone metabolism through their antioxidant properties; however, few studies have examined the relation between serum carotenoids and bone health. We aimed to determine the associations between the serum concentration of several carotenoid subclasses and BMD in a Chinese population. This study was a community-based cross-sectional study. We measured 1898 women and 933 men aged 59.6 years who completed serum β-cryptoxanthin, zeaxanthin + lutein, lycopene, and α-carotene concentration analyses and BMD assessments. Serum individual carotenoids were assessed by the methods of reverse-phase high-performance liquid chromatography. Dual-energy X-ray absorptiometry was applied to determine BMD at whole body, lumbar spine, total hip, femur neck, and trochanter. ANCOVA was used to examine the correlations between categorized individual carotenoids and BMD at measured sites. After adjusting for potential covariates, a monotonic dose–response positive correlation between circulating levels of β-cryptoxanthin, lycopene, and α-carotene and BMD at various skeletal sites was observed in women. Women in the top (vs. bottom) quartiles of serum β-cryptoxanthin, lycopene, or α-carotene exhibited 1.8–2.3, 1.5–2.0, or 1.3–2.7 % higher BMD at the bone sites with significant results (P-trend <0.05), respectively. For men, the corresponding values were 2.6–4.0 % for α-carotene at the whole body and hip regions (P-trend <0.001–0.023). These results suggest that serum carotenoids have a favorable association with bone health in the study population, especially in women. Z.-Q. Zhang and W.-T. Cao contributed equally to this work. This study was jointly supported by the National Science Foundation of China (No. 81273049), Danone Institute China Diet Nutrition Research and Communication Grant in 2012, and the 5010 Program for Clinical Researches by Sun Yat-sen University, Guangzhou, China (No. 2007032). We are grateful to Li-ping He, Ke Guan, and Ya-bin Wen for the data collection and facilitating both the recruitment of participants and the interviews.